Unfortunately, even healthy teeth are not always the most aesthetically pleasing to look at. However, that doesn’t need to be the case for you thanks to cosmetic dentistry at Bristol Family Dental. After we’ve made your smile as healthy as it can be, we can use cosmetic treatments to make it truly shine. Whether you just want a simple touch up or a complete makeover, Dr. Ross Katkowski and our team can do it. What would you like to change about your smile? Contact our office today to discuss your options. We’re also happy to help patients from Plainville, Farmington, Southington, and Burlington. They are extremely thin, custom designed porcelain shells that are fitted to the front of the teeth, and they can give you everything from a subtle change to a dramatic transformation. With porcelain veneers, the only limit is your imagination. When one of your front teeth has become damaged, we know we can’t simply repair it using a silver or gold crown. 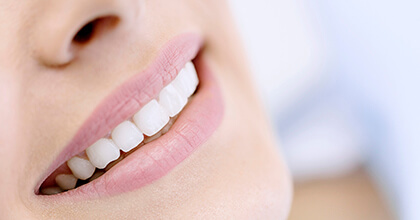 You need a solution that combines the best aspects of both cosmetic and restorative dentistry, and for exactly that, we can offer metal-free dental restorations. These all-porcelain crowns and bridges can provide your teeth with the strength and stability they need while giving you a smile you’ll be eager to show off. Dental porcelain is the next best thing to actual tooth enamel. It’s durable enough that you’ll be able to bite into an apple with confidence, and it can last for decades with simple routine oral hygiene. On the aesthetic side of things, it is translucent just like a real tooth. This means in addition to having the perfect shape, size, and color, it will also reflect light the exact same way, meaning it will perfectly blend into the rest of your smile. Isn’t it amazing how big of an impact just a tiny crack or chip can have on your entire smile? To fix minor flaws such as these, Dr. Katkowski can used something called direct bonding. For this procedure, he will apply a putty-like composite resin to the affected tooth and gently sculpt it to mask any imperfections. This resin will be shaded to perfectly blend in with the rest of your teeth. Once you are happy with the look, the doctor will quickly harden the material using a special curing light. After that, you are done, and your new smile is ready! 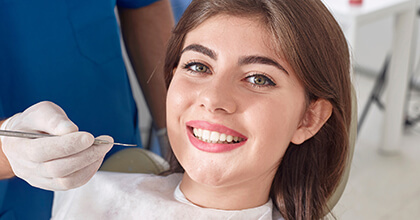 Even though the treatment itself is fast, direct bonding can easily last for 10 years or more with routine brushing, flossing, and dental checkups. If you’re like most people, the color of your teeth is probably one of the first things you notice about them. 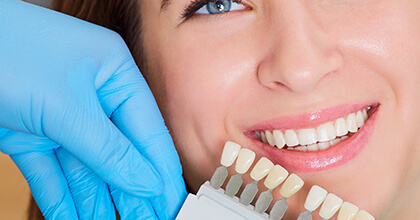 If you think they’re looking a little yellow and stained lately, Bristol Family Dental can help with professional teeth whitening. We can provide you with a completely customized take-home kit that can make your smile 8 shades whiter in just 2 weeks. Our kits are much more comfortable than anything you’ll find at the store, and they use a much higher quality bleaching gel so you’ll always have dramatic and long lasting results. That’s a guarantee you simply can’t get from other generic whitening kits. Of course, for people on the go, we can also offer a complete treatment right in our office. In just an hour, we can eliminate years of stains from your teeth and make them brighter than ever before. Then, you can use one of our take-home kits for the occasional touch-up that will help your smile keep its new glow for years to come. Do you have crooked or crowded teeth? Do you want to get them straightened, but don’t want to deal with the hassle of metal braces? 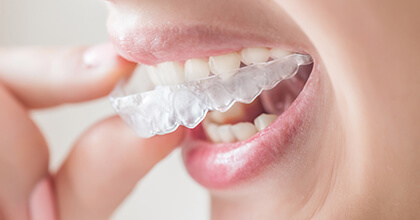 With Invisalign, you don’t have to! It uses a series of clear plastic aligner trays to gradually bring the teeth into a more pleasing and functional alignment. They simply slip over the teeth, and they are practically invisible when worn. Also, unlike braces, they are removable, meaning you can take them out whenever you want to eat or clean your teeth.